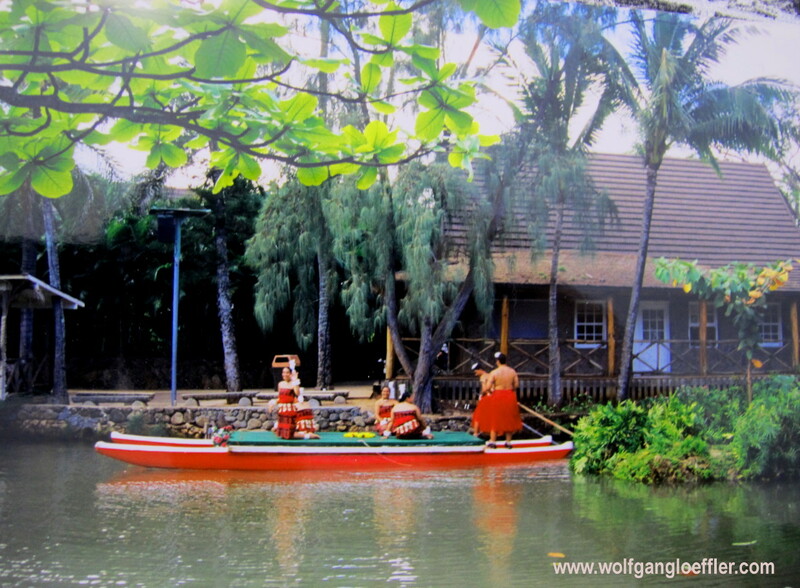 In old Polynesian Hawai’i life must have a bit like living in paradise. Ok, probably only if you belonged to the right class. But I would assume that real stress was unknown. In this post I will talk about some cultural aspects you might already know from those cultural programs in hotels throughout the islands, but most likely don’t know their background and real meaning. Like most traditions the Lei-Making has been brought to the islands by the first Polynesian settlers from the South Pacific. Those wreaths are not always made of flowers. You will find Leis made of shells, nuts, leaves, feathers and sometimes even animal bones or teeth. To give a Lei to somebody is always an expression of honor, respect and lots of Aloha. A Lei should actually never touch your neck, but only your shoulders. 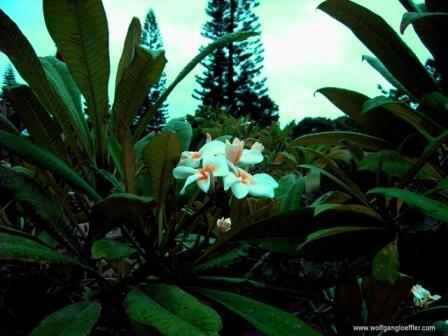 The leaves of the Maile plant were being used for leis that were given to the Ali’i (royalty). This endemic plant is liaised with Laka, the godess of the Hula. These leis aren’t closed like a wreath, but open and look more like a flower shawl. In old times Maile Leis were also being used as a sign of settling peace between two chiefs. Today they are being used for special occasions like weddings. My favorites are the Kokui nut leis. This tree is sacred to the Hawaiians, since they could use the oil for their lamps and also for healing. So this tree was a very important part of the daily life. And you can keep those leis forever. A lot of my female friends cherish them as jewellery. But mostly you will get the ones made of orchids, that are being cultivated on plantations around Hilo on the Big Island, close to the Volcanoes National Park. You can even visit some of those plantations. A lot of hotels offer courses in lei-making. In case you attend one of those don’t forget to weave in lots of Aloha. Cause in this world we are lacking love and respect, don’t we? 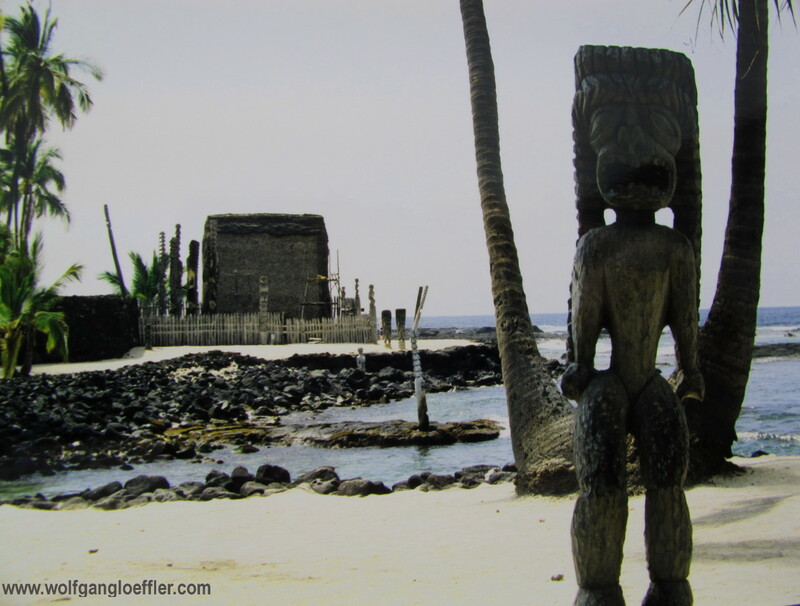 As mentioned in earlier posts Hula was given to the Hawaiians by the god Lono on the Island of Moloka’i. In ancient times this dance was only to be danced by men. Only when the Europeans and most of all the US-American soldiers came in great numbers to the islands women started to do the Hula for entertaining purposes. In a culture that doesn’t know letters, the people will have to find other ways to preserve their traditions and legends. Hula is a very beautiful way of doing this. Each movement stands for a word which means that well trained dancers will be able to tell stories of times gone by. Hula is often accompanied by chants. A cute and funny way to explain this to visitors is the Hukilau, a song that tells about men that go fishing in the ocean or a pond by throwing out nets. And it is very popular in the hotels throughout the islands to teach the first steps of Hula to tourists. These days there is a difference being made between traditional and modern Hula. The traditional way has very strict rules while the modern Hula leaves room for interpretations. Although I have to admit that most Hula shows, don’t have anything to do with the original, I do have to admit that I just love them. The colorful costumes, the soothing music and the grace of the dancers movements all blend into a very romantic event. If you want to see the real stuff, you can visit the Merry Monarch Festival, held each year the week after Easter in Hilo. This festival is something like the world championship. But if you really want to be there you will have to make hotel arrangements at least a year in advance, or book a hotel on the Kona side of the island and then do quite some driving. Another event where you can see the real Hula is during the Aloha Festival in September in Honolulu on Oahu. Most people think that the Ukulele is THE Hawaiian instrument, but that’s not true. This „little guitar“ was actually brought to the islands by Portuguese plantation workers. The Hawaiians liked the sound of it and incorporated this instrument in their traditional music. While Hawaiian music is probably not everyone’s taste, I just love it and I own a nice collection of CD’s with Hawaiian music. Sitting on my balcony on a hot summer day, sipping a Mai Tai and listening to this music gives me a glimpse of paradise. Talking about Hawaiian music. There is something the islanders have invented. It’s called slack key. And from what I understand this means that the strings of the instrument are being untightened until they form one chord when hit. Sorry, I don’t play the guitar, so if I’m wrong, please don’t hesitate to explain it the right way. This is one the favorite pastimes of the Hawaiians. But what is there to do at night sitting around a bonfire and no TV and no Wifi around? For some of you this might be hard to imagine, but these days aren’t that far in the past. The old Polynesians „talked stories“. Again, a culture that doesn’t know letters, has to find other ways to preserve their past and let the ancestors be part of the present. An official meeting begins often with a very special song, that a) invites the spirits of the ancestors to come and be part of the occasion and b) is asking them for safeguard. I had the honor to hear this song a couple of times and every time I’m getting goose bumps and do feel the presence of the spirits. Hawaiian legends are very pictographic and often talk about bravery and love. But they can also be pretty cruel. I will sample some of them in later posts. If you know Hawaiian legends, please feel free to add some to this post.